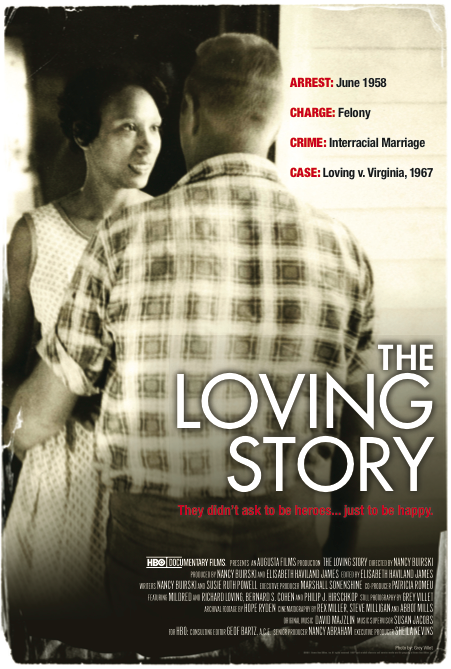 A racially-charged criminal trial and a heart-rending love story converge in this documentary about Mildred and Richard Loving, a part-black, part-Indian woman married to a white man in Jim Crow era Virginia. Thrown into rat-infested jails and exiled from their hometown for 25 years, the Lovings fought back and changed history. They were paired with two young and ambitious lawyers who were driven to pave the way for social justice and equal rights through a historic Supreme Court case, Loving v. Virginia. THE LOVING STORY takes us on a journey into the heart of race relations in America. But, in the end, it is a poignant love story of two people who simply wanted to live in the place they called home. This film, with its contemporary parallels, will live on as record of monumental change, not just in civil rights then, but in the human right to pursue happiness regardless of color, gender or creed. Q & A with Director Nancy Buirski and Producer Elisabeth Haviland James. There is no charge for the screening but pre-registration is required. View Grey Villet's photographs of the Lovings in Los Angeles during photo la, January 12 - 16, at Monroe Gallery of Photography Booth B-500.